Children 0 - 24 months and their caregiver are invited to drop-in for Baby Playtime every other Friday! 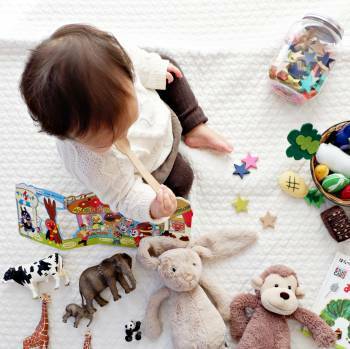 Baby Playtime is an hour long, unstructured play and social time for babies and caregivers. Encourage your little one to explore their world, while receiving information about the skills your child is developing. Network with other parents and caregivers in your community. Enjoy toys, music, and board books! No registration required. Held in the John Clarke Children's Program Room.